An important part of the problem concerning the authorship of the Fourth Gospel and its use in the primitive church involves the much debated question of whether or not it is known, presupposed, or used by Justin Martyr. The controversy over this question has a long history, the narration of which is beyond the scope of this paper. The discussion of the problem will be restricted primarily to an examination of the relationship between 1 Apol. 61, 4-5 of Justin and 3, 3-5 of John in the light of certain suggestions which will perhaps offer some useful points to the general question of the use of the Johannine Gospel in the ancient church. There have been attempts at a comparison of Justin’s Gospel allusions with the Gospel of John in order to discover those points which have parallels only in the Fourth Gospel. Such attempts, if considered successful, would determine more definitely the relationship between 1 Apol. 61, 4-5 and John 3, 3-5. 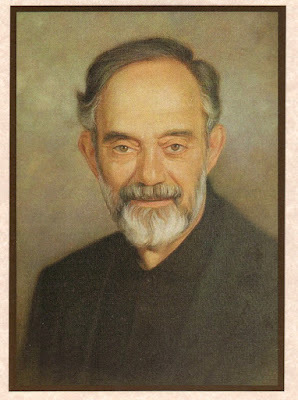 One of the leading exponents of this method of approach is A. Thoma who, after careful examination, comes to the conclusion that Justin “knows and uses almost every chapter of the Logos-Gospel, and in part very fully.” Besides a strong influence of the Fourth Gospel, Thoma also detects in Justin a good acquaintance with Paul, who is never quoted directly. Thoma is thus convinced that although Justin is influenced by both John and Paul, he could neither have regarded the Johannine Gospel as apostolic and historically authentic nor Paul as an Apostle. After carefully considering A. Thoma’s arguments for an extensive Johaninne influence on the writings of Justin, W. Bousset concludes that, “on the other hand, however, the meagerness of these reminiscences shows, that memory-wise Justin is governed by the Johannine Gospel only very weakly, and that is therefore highly improbable, where he is conscious of drawing from the memoires [of the Apostles], of following the Synoptic Gospel tradition - especially since he does not use the Johannine Gospel principally as an historical source - that Johannine reminiscences intruded themselves upon him in an unconscious manner.” However, in a later article Bousset accepted as undoubted the relationship between 1 Apol. 61, 4-5 and John 3, 3-5. Some years before Bousset certain objections were raised as to Justin’s use of the Johannine gospel by G. Volkmar which have been valid ever since and actually have not been thus far satisfactorily answered. He points out the fact that Justin’s theology concerning the preexistent Logos and Son of God is basically the same as that of the Fourth Gospel and it is quite clear how he takes great pains to develop this line of thought. (Dial. 87, 88). The Gospel of John is the one writing which is so much in conformity with Justin’s own thinking, yet he never quotes it, except possibly once in 1 Apol. 61, 4-5. On the basis of such observations and also for literary reasons, Volkmar rules out entirely even the possibility that Justin was acquainted with the Fourth Gospel. He further claims that 1 Apol. 61, 4 represents a variant developed from Matth. 18, 3 and found in a “gospel of Peter” rejected by the Church and used as a basis for John 3, 3-5. Ezra Abbot attempts to meet the Volkmar type objections by trying to prove that “The discourses of Christ as they are given in the Synoptic Gospels were obviously much better fitted for his purpose of presenting to heathens a general view of Christ’s teaching than those in the Gospel of John. Similar remarks apply to the Dialogue with Trypho the Jew.” To the objection that Justin should have quoted the prologue of the Fourth Gospel, and such a passage as “Before Abraham was, I am,” in proof of Christ’s divinity and preexistence, Abbott answers that Trypho “would not have accepted an assertion of John or a declaration of Christ as a proof of its truth. So in the case of Paul’s writings.” Such arguments, of course, are to be taken seriously. However, one may object that they do not explain why Justin did not include in his description of the high quality of Christian morality at least a hint to the classic passages in Paul and John concerning Christian love. A consistent defense of the theory that Justin did not know the Fourth Gospel would have to account, however, for the fact that Tatian not only knew it, but also used it as an integral part of his Diatessaron. How is it possible that Tatian attributed such an authority to a Gospel not known to his teacher? One could put forth the theory that the Johannine Gospel is of gnostic origin which Tatian became acquainted with and accepted after Justin’s death in 165. Irenaeus informs us that Tatian separated himself from the Church only after the martyrdom of Justin. However, it is noteworthy that in his extant apology, ΠΡΟΣ ΕΛΛΗΝΑΣ (PROS ELLINAS), Tatian refers to Justin as Ο ΘΑΥΜΑΣΙΩΤΑΤΟΣ ΙΟΥΣΤΙΝΟΣ (o thaumasiotatos Ioustinos) (ch. 18) and there is the possibility that Justin was still alive when this was written. In this same work Tatian alludes to both the Fourth Gospel (4, 5, 13, 19) and Paul (4, 11, 15, 16). The acceptance of a gnostic book by Tatian after the death of Justin is a possibility, nevertheless. On the other hand, it would be difficult to explain how Irenaeus accepted the same so-called gnostic book thinking it to be from the hand of John the Apostle and beloved deciple of the Lord. One would have to suppose either that he found the Fourth Gospel being used in the Church of Lyon during the episcopate of Pothinus and not having known of it in Asia Minor was convinced by his bishop that it was a Gospel of John the Apostle, or that he himself introduced it into the Church of Lyon, having brought it with him from Asia, or that he knew it in Asia and found it also in Lyon as well as in all Churches he visited, including that of Rome. To put forth the theory that Irenaeus attributed the Fourth Gospel to the Apostle John because of a misunderstanding of Polycarp and Papias is to ignore the fact of Irenaeus’ relations with so many churches of both East and West, to which he so strongly appeals for uniformity of apostolic traditions, as well as to so many eminent elder men amongst whom there must have been some honest enough to challenge the bishop of Lyon by reminding him of some recent date for the introduction of the Fourth Gospel into the Churches. Irenaeus appeals especially to the traditions of the Church of Rome which he visited in the year 177, just twelve years after Justin’s death. One would have to prove either that Irenaeus did not find the Gospel in Rome during his visit, or that it was introduced there before his visit and after Justin’s death. It is difficult to believe that a Gospel such as that of John could have found acceptance in the Church only during or just after the Marcion controversy over the Gospel canon. One would have to suppose a wholesale naiveté or just outright dishonesty on the part of Christians between the time of Marcion and Irenaeus. Is it possible that the traditionalists answered Marcion’s attack on the canon, not only by defending the Gospels of Matthew and Mark, but by also introducing everywhere a Gospel which many honest Christians would certainly have known to be pseudo-Johannine? That the alogoi of Asia Minor were these upright and honest Christians is still to be adequately justified. Before passing on to the main part of this paper, it may be pertinent to remark that neither Irenaeus nor Eusebius shows any awareness of the possibility that Papias was not familiar with the words of the Lord as recorded in the Gospel of John. It is noteworthy that Eusebius points out that Papias “uses proofs (ΜΑΡΤΥΡΙΑΙΣ-plural) from the first epistle of John” (Hist. Eccl., III, 39). It is quite clear that he thought this an important notice for the verification of the authenticity of the epistle. This, plus the fact that the critical Eusebius is quick to discern that Papias himself did not hear the Apostles and to point out the possibility that a second John may have written the book of Revelations, is a good indication that he most probably would have noticed any non-familiarity of Papias with the words of the Lord as recorded in the Gospel of John. That Irenaeus also does not notice any such discrepancy is also significant. Papias being at the latest a contemporary of Justin, and his source being certainly of a tradition older than himself, would point to a date for the ecclesiastical use of the Johannine tradition at least before the time of both Justin and Papias and certainly contemporary to Polycarp. (who quotes 1 John) and Marcion. There is no need to deal further with the general historical question concerning the arguments for and against the Johannine authorship of the Fourth Gospel since in such a paper one could never expect to cover the field of inquiry anywhere near as accurately and fully as others have already done. The most serious argument, of course, against the Johannine authorship of the Fourth Gospel is unquestionably the failure of all early writers before and, possibly, including Justin to quote it clearly. However, there is a strong possibility that there were substantial reasons why ancient writers generally avoided using it when dealing with the uninitiated catechumens and especially with the extraecclesiastical pagans and Jews in general. If such is the case, the work of Thoma would be materially correct but wrong in the conclusion that the Fourth Gospel was not considered by Justin as an authority. On the other hand, lack of clear quotations from the Fourth Gospel in the seven letters of Ignatius (the text of which is not completely trustworthy) and the one of Polycarp, does not in itself mean an ignorance of it. Early Christians should not be expected in every letter they write to give full quotations of all scripture and sayings of the Lord, especially when they are writing to baptized Christians who already know countless sayings and teachings of the Lord. Had it not been for certain peculiar circumstances in Corinth, St. Paul would never have mentioned the sayings of the Lord in 1 Cor. 11, 23-26. It is well to remember that he is here not telling the Corinthians but reminding them of what he had already taught them. It would be foolish to deny that Paul knew countless other sayings and teachings of the Lord which he taught everywhere he went. I doubt very much if one can use Ignatius for any special theory concerning the Fourth Gospel on the basis of his possibly ten clear quotations from both Old and New Testaments (four times from the Old Testament, twice, possibly, from Matthew, and four times from Paul). Justin meets such slander by describing in general what really takes place at the Christian gatherings. He not only gives a short description and explanation of the rite of baptism but goes even so far as to state clearly that the bread and wine over which thanksgiving is offered ΕΚΕΙΝΟΥ ΤΟΥ ΣΑΡΚΟΠΟΙΗΘΕΝΤΟΣ ΙΗΣΟΥ ΚΑΙ ΣΑΡΚΑ ΚΑΙ ΑΙΜΑ ΕΔΙΔΑΧΘΗΜΕΝ ΕΙΝΑΙ (1 Apol. 66, 2). Justin makes this remark not for the purpose of convincing any pagans regarding the truth of the matter, but in order to refute the charge that “we eat men” and to demonstrate the harmless nature of the Christian gatherings. That popular misunderstandings concerning the Christian mysteries were due to the fact that they were not open to the general public and never discussed with the uninitiated needs no demonstration. Whereas Justin seems to extend an invitation to the authorities to look into Christian writings (1 Apol. 28, 1), he nowhere invites the officials to attend the Christian gatherings to see for themselves. Had it been possible for the uninitiated or non-catechumens to witness the Christian mysteries, the popular accusations against them would never have arisen. Involved in the whole question of Justin’s use of the Gospel material is the problem of the catechetical methods of the Ancient Church. In this respect O. Cullmann’s exposition of the sacramental character of the Fourth Gospel is a very important contribution which could lead to a better understanding of the relationship between the Synoptic and Johannine traditions within the framework of the primitive Church’s catechetical methods. Understood from this point of view, one is confronted with two gospel traditions not of a contradictory and clashing nature, but of a complementary (not supplementary) nature corresponding to the distiction between catechumens, being prepared for baptism and baptized, being strengthened in their faith, love and understanding. The difference between the Synoptic and Johannine traditions corresponds to the distinction between those in their first steps of learning how to fight against the kingdom of demons and those who by participation in grace are being given the victory; between those who are beginning to be liberated from the kingdom of death in sin and those who are being transposed by grace into the kingdom of life; between those who are hearers of the parables of the kingdom which by the casting out of demons is upon them and those who are partakers of the mysteries of the kingdom; between those who are slaves and hirelings doing the will of God out of the fear of punishment and hope of eternal rewards and those who have been exercised by grace in the love of God and neighbor and have become friends of God. The central idea of the Synoptic tradition is the proclamation that because Christ by the Spirit is casting out demons, the kingdom of God is at hand (Mtth. 12, 28; Lk. 11, 20). A basic link between the Synoptic and Johannine traditions is the event of the Transfiguration of Christ. “Amen I say unto you, There are some of them that stand here who shall not taste of death till they see the kingdom [or rule] of God come in power.” Without any further explanation all three Synoptic Gospels jump six or eight days in their narrative to report the transfiguration of Christ before Peter the Rock, John and James, the Sons of Thunder, who subsequently became the three pillars of the Church. Luke adds to his account the interpretation of what was seen with the words ΕΙΔΟΝ ΤΗΝ ΔΟΞΑΝ ΑΥΤΟΥ (9, 32) which explains why the author of John says ΕΘΕΑΣΑΜΕΘΑ ΤΗΝ ΔΟΞΑΝ ΑΥΤΟΥ, ΔΟΞΑΝ ΩΣ ΜΟΝΟΓΕΝΟΥΣ ΠΑΡΑ ΠΑΤΡΟΣ, ΠΛΗΡΗΣ ΧΑΡΙΤΟΣ ΚΑΙ ΑΛΗΘΕΙΑΣ (1, 14). The radiant-like light of the transfiguration is the ΦΩΣ which appeared to the ΛΑΟΣ Ο ΚΑΘΗΜΕΝΟΣ ΕΝ ΣΚΟΤΙΑ ΚΑΙ ΣΚΙΑ ΘΑΝΑΤΟΥ (Is. 9, 2; Mtth. 4, 14) with which Matthew introduces Christ preaching the arrival of the kingdom (4, 17). John further clarifies what this ΦΩΣ is by Η ΖΩΗ ΗΝ ΤΟ ΦΩΣ ΤΩΝ ΑΝΘΡΩΠΩΝ (1, 4), ΤΟ ΦΩΣ ΤΗΣ ΖΩΗΣ (8, 12), Ο ΘΕΟΣ ΦΩΣ ΕΣΤΙ (1 John 1, 5). The promise of Christ that some shall see the kingdom of God come in power, or simply the kingdom of God, or the Son of man coming in His kingdom was fulfilled in the vision of the glory in the transfiguration of Christ which took place after the pattern of God’s self revelation to Moses in Exodus. ΔΟΞΑ ΤΟΥ ΘΕΟΥ, ΒΑΣΙΛΕΙΑ ΤΟΥ ΘΕΟΥ and ΦΩΣ (ΤΟ ΑΛΗΘΙΝΟΝ) are for the Synoptists and John synonymous. It is interesting to note an identification of ΒΑΣΙΛΕΙΑ and ΔΟΞΑ made by Clement of Alexandria in a partly harmonized and partly misquoted passage from the Synoptists: “ΕΙΣΙΝ ΤΙΝΕΣ ΤΩΝ ΩΔΕ ΕΣΤΗΚΟΤΩΝ, ΟΙ ΟΥ ΜΗ ΓΕΥΣΩΝΤΑΙ ΘΑΝΑΤΟΥ, ΕΩΣ ΑΝ ΙΔΩΣΙ ΤΟΝ ΥΙΟΝ ΤΟΥ ΑΝΘΡΩΠΟΥ ΕΝ ΔΟΞΗ” (Ex. Theodoti, D. Stählin, Cl. Al., Leipzig, 1909, vol. 3). That Clement made such an identification is especially probable since Origen makes exactly such an equation (see his Mtth. V. XII, 31 ff.). There seems to have been no attempt by Western scholars to associate the promise of Mk. 9, 1; Lk. 9, 27; Mtth. 16, 28 with the event of the transfiguration (e. g. H. Riesenfeld, Jésus Transfiguré, Kobenhaven, 1947). This is probably due to the failure to properly apply the distinctions of (1) ΒΑΣΙΛΕΙΑ in the sense of divine ruling power and energy (this is the meaning of ΔΟΞΑ ΤΟΥ ΘΕΟΥ in e.g. John 2, 11; 11, 40; Rom. 3, 23; 6, 4: Col. 1,11), (2) ΒΑΣΙΛΕΙΑ in the sense of creaturely communion of this ΔΟΞΑ and power or grace of God (the opposite of this would be to be under the power of death and the devil), and (3) ΒΑΣΙΛΕΙΑ in the sense of the final consummation and general resurrection, the final overthrow of the kingdom of Satan. If Christ was mistaken about His prophecy in Mk. 9, 1, which He was supposed to have identified with the establishment of a visible earthly kingdom, then why in all three Synoptic Gospels is this promise preserved fully and in an immediate connection with the transfiguration? According to the principles of form criticism the non-fulfillment of such a promise as Mk. 9, 1 would not have fitted into the preaching of the primitive Church and would have caused it to be dropped from at least the generally accepted later Gospels of Matthew and Luke. From these observations, it is clear that the Johannine Gospel deals with the ΒΑΣΙΛΕΙΑ ΤΟΥ ΘΕΟΥ much more than the two times (3, 3, 5) as is usually supposed, only under the words ΔΟΞΑ (1, 14; 11, 40; 12, 41; 17, 24) and ΦΩΣ (1, 4, 5, 7, 8, 9; 3, 19 etc.). When Christ says ΕΓΩ ΕΙΜΙ ΤΟ ΦΩΣ ΤΟΥ ΚΟΣΜΟΥ (8, 12), He clearly means that together with the Father He is the life principle in the world which has come to destroy death and bring the dead back into the kingdom of God. However, there is nothing in the Fourth Gospel or in the Synoptic tradition or even in St. Paul which allows for any gnostic type transcendental understanding of the kingdom since it is now visible only to the elect, but in the Old Testament frame of reference, and will become fully manifested to the world at large only at the general resurrection. That the New Testament ΙΔΕΙΝ ΤΗΝ ΒΑΣΙΛΕΙΑΝ or ΤΗΝ ΔΟΞΑΝ ΤΟΥ ΘΕΟΥ is essentially the same as in the Old Testament is witnessed to by John (12, 41) who says ΤΑΥΤΑ ΕΙΠΕΝ ΗΣΑΙΑΣ ΟΤΙ ΕΙΔΕΝ ΤΗΝ ΔΟΞΑΝ ΑΥΤΟΥ (comp. 8, 56) as well as by the Synoptists. (Mtth. 13, 16 and Lk. 20, 24 say ΠΟΛΛΟΙ here and not ΠΑΝΤΕΣ). The difference, however, between those in the Old Testament who saw the ruling power of God and those who in Christ see the ΔΟΞΑ of God is that before the incarnation they were still subject to death (of soul and body) whereas in Christ ΠΑΣ Ο ΖΩΝ ΚΑΙ ΠΙΣΤΕΥΩΝ ΕΙΣ ΕΜΕ ΟΥ ΜΗ ΑΠΟΘΑΝΗ ΕΙΣ ΤΟΝ ΑΙΩΝΑ (John 11, 26) because ΕΙ ΚΑΙ Ο ΕΞΩ ΗΜΩΝ ΑΝΘΡΩΠΟΣ ΔΙΑΦΘΕΙΡΕΤΑΙ, ΑΛΛ’ Ο ΕΣΩ ΗΜΩΝ ΑΝΑΚΑΙΝΟΥΤΑΙ ΗΜΕΡΑ ΚΑΙ ΗΜΕΡΑ (II Cor. 4, 16). This is why the glory of the face of Moses was only a temporary condition, whereas in Christ it is becoming for the ΠΝΕΥΜΑΤΙΚΟΙ who have the ΑΡΡΑΒΩΝΑ ΤΟΥ ΠΝΕΥΜΑΤΟΣ (I Cor. 1, 22; II Cor. 5, 5; Eph. 1, 14), a permanent gift (II Cor. 3, 7 ff. ; 6, 2). It is within such a context that one should understand such statements of St. Paul as ΠΑΝΤΕΣ ΓΑΡ ΗΜΑΡΤΟΝ ΚΑΙ ΥΣΤΕΡΟΥΝΤΑΙ ΤΗΣ ΔΟΞΗΣ (i. e., ΤΗΣ ΒΑΣΙΛΕΙΑΣ, ΤΟΥ ΦΩΤΟΣ, ΤΗΣ ΖΩΗΣ) ΤΟΥ ΘΕΟΥ, ΔΙΚΑΙΟΥΜΕΝΟΙ (i. e., ΖΩΟΠΟΙΟΥΜΕΝΟΙ or ΦΩΤΙΖΟΜΕΝΟΙ) ΔΩΡΕΑΝ ΤΗ ΑΥΤΟΥ ΧΑΡΙΤΙ (Rom. 3, 23 ff.). In respect to the identification of ΒΑΣΙΛΕΙΑ and ΔΟΞΑ ΤΟΥ ΘΕΟΥ, it is interesting to note that Hippolytus quotes John 2, 11 by substituting the Matthean ΒΑΣΙΛΕΙΑ ΤΩΝ ΟΥΡΑΝΩΝ for ΔΟΞΑΝ ΑΥΤΟΥ. ΑΡΧΗ ΤΩΝ ΣΗΜΕΙΩΝ ΗΝ ΕΠΟΙΗΣΕΝ Ο ΙΗΣΟΥΣ ΕΝ ΚΑΝΑ ΤΗΣ ΓΑΛΙΛΑΙΑΣ ΚΑΙ ΕΦΑΝΕΡΩΣΕ ΤΗΝ ΒΑΣΙΛΕΙΑΝ ΤΩΝ ΟΥΡΑΝΩΝ (ΕΛΕΓΧΟΣ 5, 8). That a post-baptismal method of teaching, comparable to that of the Johannine Gospel, always existed in the Church is witnessed to by the epistles of Paul which are full of indirect and direct allusions to theological concepts and mystical practices nowhere to be found in any degree of clarity in the Synoptic tradition. This difference is strong enough to have led some to imagine a clash between a so-called Hellenistic Paul and the Judaistic Markan and Matthean Gospels. However, it is clear that Paul reflects a post-baptismal method of instruction in essentials identical to that of the Johannine Gospel which was committed to writing many years after the Apostle’s death. Relative to our present inquiry is the fact that baptism by water and Spirit is not a peculiarity of the Fourth Gospel, but clearly alluded to by Paul (I Cor. 12, 13) and presupposed in his soteriology. In pointing out the non-magical character of Baptism and the Eucharist, he states that ΟΙ ΠΑΤΕΡΕΣ ΗΜΩΝ ΠΑΝΤΕΣ ΥΠΟ ΤΗΝ ΝΕΦΕΛΗΝ ΗΣΑΝ ΚΑΙ ΠΑΝΤΕΣ ΔΙΑ ΤΗΣ ΘΑΛΑΣΣΗΣ ΔΙΗΛΘΟΝ ΚΑΙ ΠΑΝΤΕΣ ΕΙΣ ΤΟΝ ΜΩΥΣΗΝ ΕΒΑΠΤΙΣΑΝΤΟ ΕΝ ΤΗ ΝΕΦΕΛΗ ΚΑΙ ΕΝ ΤΗ ΘΑΛΑΣΣΗ … (I Cor. 10, 1 ff.). This ΝΕΦΕΛΗ is the Holy Spirit, the same into which Peter, John and James entered at the transfiguration, and the ΘΑΛΑΣΣΑ is the ΥΔΩΡ of baptism. Here in Paul we have a parallel to the anti-magical interpretation of John 3, 3-8, and definite proof that this doctrine of baptism is much older than Justin and much earlier than the time the Johannine post-baptismal method of instruction was committed to writing. That Justin accepted the Pauline and Johannine doctrine of the Spirit in his understanding of salvation can be seen in the question of the ΠΑΛΑΙΟΣ ΤΙΣ ΠΡΕΣΒΥΤΗΣ who asks ΤΟΝ ΘΕΟΝ ΑΝΘΡΩΠΟΥ ΝΟΥΣ ΟΨΕΤΑΙ ΠΟΤΕ ΜΗ ΑΓΙΩ ΠΝΕΥΜΑΤΙ ΚΕΚΟΣΜΗΜΕΝΟΣ; (Dial. 4, 1). John 3, 3 says exactly this when ΒΑΣΙΛΕΙΑ is understood as ΔΟΞΑ. The same is indicated in his doctrine of the Spirit’s relation to the soul. ΟΤΑΝ ΔΕΗ ΤΗΝ ΨΥΧΗΝ ΜΗΚΕΤΙ ΕΙΝΑΙ, ΑΠΕΣΤΗ ΑΠ’ ΑΥΤΗΣ ΤΟ ΖΩΤΙΚΟΝ ΠΝΕΥΜΑ ΚΑΙ ΟΥΚ ΕΣΤΙΝ Η ΨΥΧΗ ΕΤΙ (Dial. 6, 2). There can be no doubt that for Justin communion with the life giving Spirit of God is an absolute necessity for salvation. In view of this, it is difficult to accept the claim that Justin does not presuppose the Pauline of Johannine or Lukan (Acts 1, 5) baptism by water and Spirit. He does use Lukan material and so he must have been familiar with Acts also. In view of the points thus far observed, what is amazing is not that Justin seems never to quote the Gospel of John, but that he attempts to publicly give even a short account of what pertains to the closest guarded secrets of the Church. Because of the very nature of the Johannine Gospel, one cannot expect to find it quoted by ancient Christian writers in works directed to pagans and Jews. The same would generally be true of the Pauline letters. Thus, Thoma’s demonstration of a strong influence of both the Johannine and Pauline writings on Justin cannot be objected to simply on the grounds that he does not quote the Fourth Gospel. In his ΠΡΟΣ ΕΛΛΗΝΑΣ Tatian seems to quote John four times but in three instances one discovers only a vague phrase which only reminds one of the Fourth Gospel. Athenagoras has no quotation from John. The first writing directed to a pagan in which the Gospel of John is quoted outright and by name is the ΠΡΟΣ ΑΥΤΟΛΥΚΟΝ of Theophilos written after 180 when the Gospel of John had already become more public, probably as an outcome of its use by heretics and the ensuing debates. Very interesting is the fact that from a recently discovered Paschal sermon, “On The Passion,” by Melito of Sardis (170), we see that the Gospel reading preached on is from John’s “account of the death and resurrection of our Lord, extending from the trial before Pilate to the end of St. John’s account of the resurrection.” Since catechumens were baptized during the Paschal liturgies, this is strong support for the thesis that the Gospel of John was especially related to the advanced stages of Christian instruction. It is perhaps significant that Melito’s passage is still used till this day and in Orthodox Churches the Gospel of John is read in toto between Easter and Pentecost. Having this general picture in mind, one does not expect Justin to quote in works directed to pagans and Jews any direct quotation from the mystical Gospel of the Church. Such matters as ΑΝΩΘΕΝ ΓΕΝΝΗΘΗΝΑΙ, ΕΞ ΥΔΑΤΟΣ ΚΑΙ ΠΝΕΥΜΑΤΟΣ ΓΕΝΝΗΘΗΝΑΙ, and ΙΔΕΙΝ ΤΗΝ ΒΑΣΙΛΕΙΑΝ ΤΟΥ ΘΕΟΥ not only could not be understood by the non-initiated of Justin’s time, but one also wonders whether many contemporary readers understand very much from these terms. Whereas in the Dialogue one finds a discussion concerning the vision of God for the purpose of refuting the philosophical theories of Plato, still one comes across only hints at the Christian doctrine of seeing God by the Spirit. In the First Apology, XI, Justin discusses the pagan misunderstandings of the Christian doctrine concerning the kingdom of God. Yet he limits himself to a simple denial of the popular charges and completely avoids any positive discussion. A little later he undertakes a short description (61, 1 ff.) of baptism in order to show the relationship between a harmless bath and the Christian kingdom of the "heavens." It is noteworthy that in this whole passage he is extremely vague concerning the soteriological details involved, especially the gist of the Spirit without which (according to Justin) man cannot see God. One cannot help feel that he is deliberately evading any such discussion, especially, since he wasn’t writing with the purpose of converting, but in order to prove general misunderstandings as unfounded. One notices that the term ΑΝΑΓΕΝΝΗΘΗΝΑΙ is used by Justin repeatedly in his description of baptism. There is no reason to doubt that this was a very common technical Christian term used to describe the whole process involved in baptism. It would have been quite strange to have used such phrases as ΑΝΩΘΕΝ ΓΕΝΝΗΘΗΝΑΙ, ΕΞ ΥΔΑΤΟΣ ΚΑΙ ΠΝΕΥΜΑΤΟΣ ΓΕΝΝΗΘΗΝΑΙ and ΙΔΕΙΝ ΤΗΝ ΒΑΣΙΛΕΙΑΝ ΤΟΥ ΘΕΟΥ as general descriptions of Christian renewal. No doubt, such terms would have seemed even more peculiar to the ears of pagans and would have entailed an adequate explanation which the ancient Church would not give ΤΟΙΣ ΕΞΩ. In this respect, Volkmar’s association of Justin’s quotation ΑΝ ΜΗ ΑΝΑΓΕΝΝΗΘΗΤΕ ΟΥ ΜΗ ΕΙΣΕΛΘΕΤΕ ΕΙΣ ΤΗΝ ΒΑΣΙΛΕΙΑΝ ΤΩΝ ΟΥΡΑΝΩΝ with Mtth. 18, 3 – ΕΑΝ ΜΗ ΣΤΡΑΦΗΤΕ ΚΑΙ ΓΕΝΗΣΘΕ ΩΣ ΤΑ ΠΑΙΔΙΑ ΤΑΥΤΑ, ΟΥ ΜΗ ΕΙΣΕΛΘΗΤΕ ΕΙΣ ΤΗΝ ΒΑΣΙΛΕΙΑΝ ΤΩΝ ΟΥΡΑΝΩΝ – is suggestive. From all indications Justin was a catechist and as such based his whole method of teaching on the Old Testament and the Synoptic Tradition. It was more than natural that his dealings ΤΟΙΣ ΕΞΩ be dominated more by these works than by the Gospel of John and the epistles of Paul. Therefore, faced with the need to give some sort of explanation concerning the kingdom and the Christian gatherings, it came natural to Justin to mix the technical term ΑΝΑΓΕΝΝΗΘΗΝΑΙ with Mtth. 18, 3. That Justin was not very much interested in exact quotations from the Memoires of the Apostles is manifest in the way he refers to the sayings of the Lord at the Last Supper. Claiming that he is quoting the Gospels, Justin writes: ΤΟΝ ΙΗΣΟΥΝ ΛΑΒΟΝΤΑ ΑΡΤΟΝ ΕΥΧΑΡΙΣΤΗΣΑΝΤΑ ΕΙΠΕΙΝ΄ ΤΟΥΤΟ ΠΟΙΕΙΤΕ ΕΙΣ ΤΗΝ ΑΝΑΜΝΗΣΙΝ ΜΟΥ, ΤΟΥΤ’ ΕΣΤΙ ΤΟ ΣΩΜΑ ΜΟΥ΄ ΚΑΙ ΤΟ ΠΟΤΗΡΙΟΝ ΟΜΟΙΩΣ ΛΑΒΟΝΤΑ ΚΑΙ ΕΥΧΑΡΙΣΤΗΣΑΝΤΑ ΕΙΠΕΙΝ΄ ΤΟΥΤΟ ΕΣΤΙ ΤΟ ΑΙΜΑ ΜΟΥ ΚΑΙ ΜΟΝΟΙΣ ΑΥΤΟΙΣ ΜΕΤΑΔΟΥΝΑΙ (1 Apol. 66, 3). This last phrase is clearly intended to justify the closed gatherings of the Church. A comparison with the New Testament reports reveals immediately the fact that Justin is saying no more than what is necessary for the purpose of his Apology. On the basis of the generally admitted principle that sayings of the Lord are usually expanded rather than shortened, this is quite clear. Here the process is reversed for definite reasons. Significant is Justin’s qualification of the quotation from the Lord concerning regeneration, ΟΤΕ ΔΕ ΚΑΙ ΑΔΥΝΑΤΟΝ ΕΙΣ ΤΑΣ ΜΗΤΡΑΣ ΤΩΝ ΤΕΚΟΥΣΩΝ ΤΟΥΣ ΑΠΑΞ ΓΕΝΟΜΕΝΟΥΣ (or ΓΕΝΝΩΜΕΝΟΥΣ) ΕΜΒΗΝΑΙ, ΦΑΝΕΡΟΝ ΠΑΣΙΝ ΕΣΤΙΝ (1 Apol. 61, 5). This idea is not necessarily implied in Mtth. 18, 3, although it could certainly have been a part of a traditional catechetical interpretation of this passage. However, in view of the over-all picture drawn in this paper, it probably is a reflection of John 3, 3-5, which no doubt was the completion of Mtth. 18, 3. 1) ΔΟΣ ΓΑΡ ΑΥΤΟΙΣ, ΦΗΣΙ, ΠΑΤΕΡ ΑΓΙΕ, ΙΝΑ ΩΣ ΕΓΩ ΚΑΙ ΣΥ ΕΝ ΕΣΜΕΝ, ΚΑΙ ΑΥΤΟΙ ΕΝ ΗΜΙΝ ΕΝ ΩΣΙ. John 17, 11-12 in Ign. 1. v. Eph. 4. 3) …ΕΓΩ ΕΞΕΛΕΞΑΜΗΝ ΥΜΑΣ΄ ΜΕΙΝΑΤΕ ΠΑΡ’ ΕΜΟΙ. John 15, 19 in Ign. 1. v. rom. 3. 4) ΚΑΙ Ο ΚΥΡΙΟΣ ΦΗΣΙΝ΄ ΑΥΤΗ ΕΣΤΙΝ Η ΑΙΩΝΙΟΣ ΖΩΗ, ΤΟ ΓΙΝΩΣΚΕΙΝ ΤΟΝ ΜΟΝΟΝ ΑΛΗΘΙΝΟΝ ΘΕΟΝ, ΚΑΙ ΟΝ ΑΠΕΣΤΕΙΛΕΝ ΙΗΣΟΥΝ ΧΡΙΣΤΟΝ. John 17, 3 in Ign. 1. v. Smyr. 6. 5) ΛΥΣΑΤΕ ΤΟΝ ΝΑΟΝ ΤΟΥΤΟΝ ΚΑΙ ΔΙΑ ΤΡΙΩΝ ΗΜΕΡΩΝ ΕΓΕΡΩ ΑΥΤΟΝ. John 2, 19 in Ign. 1. v. Smyr. 2. 6) ΦΕΡΕ ΤΟΝ ΔΑΚΤΥΛΟΝ ΣΟΥ ΩΔΕ ΕΙΣ ΤΟΝ ΤΥΠΟΝ ΤΩΝ ΗΛΩΝ, ΚΑΙ ΦΕΡΕ ΤΗΝ ΧΕΙΡΑ ΣΟΥ ΚΑΙ ΒΑΛΕ ΕΙΣ ΤΗΝ ΠΛΕΥΡΑΝ ΜΟΥ. John 20, 27-28 in Ign. 1. v. Smyr. 3. 8) In Hippolytus’ ΕΙΣ ΤΗΝ ΑΙΡΕΣΙΝ ΝΟΗΤΟΥ and ΕΙΣ ΤΗΝ ΑΝΑΣΤΑΣΙΝ ΛΑΖΑΡΟΥ there are a number of striking variations to our text of John. The Johannine expression ΑΝΩΘΕΝ ΓΕΝΝΗΘΗΝΑΙ is not mentioned by any writer quoting John 3, 3-5 or a variant (Justin; Iren. frg. 34; Ps. Clem. Hom. XI, 26; Recogn. VI, 9; Hipp. ΕΛΕΓΧΟΣ 8, 10; Tert. De Bapt. XIII; De Anima XXXIX) prior to Origen (ΕΙΣ ΤΟ ΚΑΤΑ ΙΩΑΝΝΗΝ, vol. 19, XXI; ΑΠΟΣΠΑΣΜΑΤΑ ΕΚ ΤΩΝ ΣΕΙΡΩΝ XXXV, XXXVI; Ad Rom. V, 8). Also noteworthy is the fact that neither Origen nor anyone prior to him (including Hipp. and Tert.) quotes ΙΔΕΙΝ ΤΗΝ ΒΑΣΙΛΕΙΑΝ ΤΟΥ ΘΕΟΥ when referring to John 3, 3-5. Equally interesting is the fact that no ancient writer before Origen and including Tertullian quotes the phrase ΟΥ ΔΥΝΑΤΑΙ of John 3, 3-5, except possibly Hipp. ΕΛΕΓΧΟΣ 5, 8. On the basis of these observations one could, if he so desired, come to the conclusion (since there is no second century fragment of John 3, 3-5) that ΑΝΩΘΕΝ ΓΕΝΝΗΘΗΝΑΙ, ΙΔΕΙΝ ΤΗΝ ΒΑΣΙΛΕΙΑΝ ΤΟΥ ΘΕΟΥ and ΟΥ ΔΥΝΑΤΑΙ of John 3, 3-5 were not in the second century Gospel of John and that ΑΝΩΘΕΝ and ΟΥ ΔΥΝΑΤΑΙ were added to the text of Alexandria. One could also entertain the possibility that the writers who omit these Johannine peculiarities were influenced by some apocryphal Gospel. However, this would be very difficult to substantiate, especially in the cases of Irenaeus, Hippolytus, Tertullian and Origen who clearly accepted the authority of the four canonical Gospels only. On the other hand, the failure to quote these Johannine phrases may be better attributed to simple slips of memory, to confusion of texts because of such slips, and to lack of care in checking Biblical sources. On the basis of these observations, Justin’s failure to quote ΑΝΩΘΕΝ ΓΕΝΝΗΘΗΝΑΙ, ΙΔΕΙΝ ΤΗΝ ΒΑΣΙΛΕΙΑΝ ΤΟΥ ΘΕΟΥ ΟΥ ΔΥΝΑΤΑΙ and even ΕΞ ΥΔΑΤΟΣ ΚΑΙ ΠΝΕΥΜΑΤΟΣ ΓΕΝΝΗΘΗΝΑΙ (which would have meant nothing to the pagan readers and were not necessary for the purpose of his apology) cannot be used as arguments for the contention that he used or had in mind any source, at least in this case, other than John 3, 3-5. Very important for the present inquiry is the fact that all quotations of John 3, 3-5 prior to Origen have, instead of ΒΑΣΙΛΕΙΑ ΤΟΥ ΘΕΟΥ, the Matthean ΒΑΣΙΛΕΙΑ ΤΩΝ ΟΥΡΑΝΩΝ. Of course there is the possibility that ΒΑΣΙΛΕΙΑ ΤΩΝ ΟΥΡΑΝΩΝ was not originally a peculiarity of Matthew but was to be found in John also. Hippolytus, ΕΛΕΓΧΟΣ 5, 8 (see above) would also point in this direction. However, Origen who definitely had a good acquaintance with the Biblical texts of his time (and he was acquainted with the Church of Rome even within the lifetime of Hippolytus), writes clearly that the phrase ΒΑΣΙΛΕΙΑ ΤΟΥ ΘΕΟΥ is common to John and Luke, whereas ΒΑΣΙΛΕΙΑ ΤΩΝ ΟΥΡΑΝΩΝ is a peculiarity of Matthew (op. cit. XXXVI, CXXII). I find no reason to doubt Origen’s word and so would ascribe the patristic quotations of John 3, 3-5 with the Matthean ΒΑΣΙΛΕΙΑ ΤΩΝ ΟΥΡΑΝΩΝ to slips of memory, as well as to a very strong influence of Matthew (stemming from the impressions of one’s early period of catechetical instruction, as well as from the constant use made of it in teaching by the Fathers in question), and in the cases of the few manuscripts containing this matthean phrase in John 3, 5 to a later modification of the original text. Extremely interesting in the case of Origen is the fact that in spite of his recognition of ΒΑΣΙΛΕΙΑ ΤΩΝ ΟΥΡΑΝΩΝ as a Matthean peculiarity this does not prevent him from using ΒΑΣΙΛΕΙΑ ΤΩΝ ΟΥΡΑΝΩΝ in quoting John 3, 3-5 (in Lucam, Hom. XIV; Ad Rom. II, 7. In the same Ad Rom. he twice uses ΒΑΣΙΛΕΙΑ ΤΟΥ ΘΕΟΥ in quoting John 3, 3-5. Ibid., V, 8). Tertullian is another good example of the use of both ΒΑΣΙΛΕΙΑ ΤΩΝ ΟΥΡΑΝΩΝ (De Bapt. XIII) and ΒΑΣΙΛΕΙΑ ΤΟΥ ΘΕΟΥ (De Anima XXXIX) in quoting John 3, 3-5. From these considerations one may safely assume that it was always highly possible for one to quote the Fourth Gospel and at the same time confuse Johannine and Matthean vocabulary, even when the distinctions were well known. This possibility also contains the further possibility of confusing in such a mixed quotation terminology not contained in the New Testament quotations themselves. We find a good example of such a confusion in a quotation of John 3, 5 in the later ΔΙΑΤΑΓΑΙ ΤΩΝ ΑΠΟΣΤΟΛΩΝ 6, XV, 5: ΛΕΓΕΙ ΓΑΡ Ο ΚΥΡΙΟΣ, ΕΑΝ ΜΗ ΤΙΣ ΒΑΠΤΙΣΘΗ ΕΞ ΥΔΑΤΟΣ ΚΑΙ ΠΝΕΥΜΑΤΟΣ, ΟΥ ΜΗ ΕΙΣΕΛΘΗ ΕΙΣ ΤΗΝ ΒΑΣΙΛΕΙΑΝ ΤΩΝ ΟΥΡΑΝΩΝ. Here we a clear confusion of Johannine and Matthean phrases and at the same time an omission of both ΓΕΝΝΗΘΗΝΑΙ and ΑΝΑΓΕΝΝΗΘΗΝΑΙ, as well as of ΟΥ ΔΥΝΑΤΑΙ. Had Justin contained this ΒΑΠΤΙΣΘΗΝΑΙ instead of ΑΝΑΓΕΝΝΗΘΗΝΑΙ we no doubt would have been beset by countless theories concerning its origin. Also significant is the following quotation from Hippolytus: ΕΑΝ ΜΗ ΤΙΣ ΓΕΝΝΗΘΗ ΕΞ ΥΔΑΤΟΣ ΚΑΙ ΠΝΕΥΜΑΤΟΣ, ΟΥΚ ΕΙΣΕΛΕΥΣΕΤΑΙ ΕΙΣ ΤΗΝ ΒΑΣΙΛΕΙΑΝ ΤΩΝ ΟΥΡΑΝΩΝ, ΟΤΙ ΤΟ ΓΕΓΕΝΝΗΜΕΝΟΝ ΕΚ ΤΗΣ ΣΑΡΚΟΣ ΣΑΡΞ ΕΣΤΙΝ. (ΕΛΕΓΧΟΣ 8, 10). Here again John and Matthew are confused and ΟΥ ΔΥΝΑΤΑΙ is omitted. This quotation is especially interesting because it is the first time that John 3, 3-5 is quoted with the words ΕΑΝ ΜΗ ΤΙΣ ΓΕΝΝΗΘΗ and indeed by a member of the Western Church. However, this does not hinder Hippolytus from using elsewhere the phrases ΕΑΝ ΜΗ ΑΝΑΓΕΝΝΗΘΗ (ΕΛΕΓΧΟΣ 5, 8) and ΤΟΝ ΑΝΑΓΕΝΝΩΜΕΝΟΝ ΕΞ ΥΔΑΤΟΣ ΚΑΙ ΠΝΕΥΜΑΤΟΣ (Ibid.). This is a good example of the fact that the use of ΓΕΝΝΗΘΗΝΑΙ does not necessarily preclude the use by the same author of ΑΝΑΓΕΝΝΗΘΗΝΑΙ. This is certainly very probable in all cases before Hippolytus as it was in the case of Tertullian (De Bapt. XII; XIII; De Anima XXXIX) and as it certainly is the case later (e. g., Cyril of Jerusalem, Cat. Or. III, 4; XVII, 11; ΔΙΑΤΑΓΑΙ ΤΩΝ ΑΠΟΣΤΟΛΩΝ, 6, XV, 5; 2, XXVI, 4; 2, XXXIII, 2). Therefore the ΕΑΝ ΜΗ ΤΙΣ ΑΝΑΓΕΝΝΗΘΗ of Irenaneus, frg. 34 and Recogn. VI, 9 does not exclude the possibility of its being a modification of John 3, 3-5 by the employment of the general term ΑΝΑΓΕΝΝΗΘΗΝΑΙ. The same would be true of the ΑΝ or ΕΑΝ ΜΗ ΑΝΑΓΕΝΝΗΘΗΤΕ of Justin, 1 Apol. 61, 4 and Ps. Clem. Hom. XI, 26. Of course there is the possibility that ΑΝΑΓΕΝΝΗΘΗΝΑΙ may be a latinization, but in view of Hippolytus’ use of both ΓΕΝΝΗΘΗΝΑΙ and ΑΝΑΓΕΝΝΗΘΗΝΑΙ and of Tertullian’s use of both renasci (De Bapt. XIII) and nasci (De Anima XXXIX) in quoting John 3, 3-5, and also since it is such a common term among Greek writers (e. g., Clem. Alex. Paed. I, 5; I, 6; III, 12; Cob. ad Gr. IX, 82, 5; Strom. II, 23) this can have no decisive bearing on our present inquiry. That ΑΝΩΘΕΝ may mean “again” or “from the beginning” (see Bousset, op. cit., p. 117f. ; Lowenich, op. cit., p. 47, n. 1) is a possibility, but in the specific case of John 3, 3 this is an impossibility. Here ΑΝΩΘΕΝ ΓΕΝΝΗΘΗΝΑΙ is equated with ΕΞ ΥΔΑΤΟΣ ΚΑΙ ΠΝΕΥΜΑΤΟΣ ΓΕΝΝΗΘΗΝΑΙ. The ΠΝΕΥΜΑ in all four Gospels is sent from above (Mtth. 3, 16; Mk. 1, 10; Lk. 3, 22; John 1, 3; 15, 26). The idea of being born again according to the flesh is contained in the Nicodemus misunderstanding. That Justin understood baptism in terms of receiving the Spirit from “above” is not at all clear in 1 Apol. 61. This can be inferred only from what Justin says about the soteriological implications of communion with the Spirit in his Dialogue with Trypho (4, 1; 6, 2; 87, 5-6; see above). We may summarize our observations concerning the use of John 3, 3-5 in our earliest sources up to and including Hippolytus, Tertullian, and Origen in conjunction with the overall findings of this paper as follows: (1) No one except Origen uses the phrase ΑΝΩΘΕΝ ΓΕΝΝΗΘΗΝΑΙ. (2) No one uses ΙΔΕΙΝ ΤΗΝ ΒΑΣΙΛΕΙΑΝ ΤΟΥ ΘΕΟΥ. (3) No one except Origen uses ΟΥ ΔΥΝΑΤΑΙ. (4) All writers use the Matthean ΒΑΣΙΛΕΙΑ ΤΩΝ ΟΥΡΑΝΩΝ, even though some use ΒΑΣΙΛΕΙΑ ΤΟΥ ΘΕΟΥ in the same connection elsewhere. (5) All writers except possibly Origen (depending on what the original of Renatus was in Ad Rom. II, 7; V, 8; In Lucam, Hom. XIV) use ΑΝΑΓΕΝΝΗΘΗΝΑΙ. (6) Some writers (e. g., Hippolytus and Tertullian) use both ΑΝΑΓΕΝΝΗΘΗΝΑΙ ΕΞ ΥΔΑΤΟΣ ΚΑΙ ΠΝΕΥΜΑΤΟΣ and ΓΕΝΝΗΘΗΝΑΙ ΕΞ ΥΔΑΤΟΣ ΚΑΙ ΠΝΕΥΜΑΤΟΣ. All these factors having been weighed there is no conclusive indication that 1 Apol. 61, 4-5 has any source other than John 3, 3-5. Justin’s failure to use ΑΝΩΘΕΝ is no more surprising than the same failure of all writers in question apart from Origen; and his failure to use ΙΔΕΙΝ ΤΗΝ ΒΑΣΙΛΕΙΑΝ ΤΟΥ ΘΕΟΥ and ΟΥ ΔΥΝΑΤΑΙ falls into the same category. His failure to quote ΕΞ ΥΔΑΤΟΣ ΚΑΙ ΠΝΕΥΜΑΤΟΣ is obviously due to the purpose of his Apology. Here he has a somewhat detailed description of the esoteric mystical life of the Church in order to refute the pagan calumnies. In the Dialogue no such description is necessary because Trypho did not believe the popular charges against Christians (10, 1, ff.). To confuse the issue by speaking to pagans about birth from above and by water and Spirit would have only bewildered his readers and subjected Christians to further ridicule. It was enough to explain the belief that the eucharistic bread and wine are the body and blood of Christ. This he had to do in order to meet the charges of cannibalism. Yet he omits any mention of ΚΑΙΝΗ ΔΙΑΘΗΚΗ which pagans would not have understood. Also he referred to John 3, 3-5 in order to indicate the manner in which Christians hoped to enter into the kingdom of the “heavens” and thereby dispel the idea that the Church is a subversive organization. But there was no reason to complicate things by mentioning a birth “from above” and “by water and Spirit” which could mean nothing to his pagan readers and would not have served the purpose of his apology. Rather than postulate a thus far non-existent Gospel source, it seems much more consistent with the general condition of our source materials to attribute the patristic variations in question to slips of memory and confusion of Johannine, Matthean and oral catechetical terminology and expressions, due especially to the very strong influence of Matthew because of its central position in catechism and the constant use made of it in teaching by the Church Teachers and Fathers in question. Therefore until such time when a Gospel fragment similar to 1 Apol. 61, 4-5 is discovered one may safely conclude (1) that underlying 1 Apol. 61, 4-5 is John 3, 3-5, (2) that 1 Apol. 61, 4-5 owes its form partly to the conditions under which it was quoted as was indicated in this paper, and (3) that Justin’s failure to quote the Gospel of John outright in dealing with pagans and Jews is due to its esoteric and mystical nature and therefore to its place within the pattern of the primitive Church’s methods of instruction. See G. Volkmar, Über Justin den Märtyrer und sein Verbältniss zu unsern Evangelien, Zürich, 1853; Ezra Abbot, The Authorship of the Fourth Gospel, Boston, 1880; W. Bousset, Die Evangeliencitate Justins des Märtyrers, Gottingen, 1891; W. Sanday, The criticism of the Fourth Gospel, New York, 1905; P. Schaff, Apostolic Christianity, Grand Rapids, 1955, p. 701 ff. E. g., see in W. Bousset, op. cit., pp. 115-121; especially the detailed list in Ezra Abbot, op. cit., pp. 41-51. E. Abbot, op. cit., p. 63. W. von Loewenich follows Thoma's lead in dealing with the relationship between Justin and the Fourth Gospel and claims to be more criticle. See below n. 7. See op. cit., p. 118. See W. von Loewenich, Das Johannes-Verständnis im zweiten Jahrbundert, Giessen, 1932, p. 47, n. 1. Op. cit., p. 21 ff. Op. cit., p. 20 ff. Op. cit., p. 22 ff. See also Volkmar, op. cit., p. 20. E. Abbot, op. cit., p. 52 ff. Adv. Haer. I, XXVIII, 1. See my ΤΟ ΠΡΟΠΑΤΟΡΙΚΟΝ ΑΜΑΡΤΗΜΑ, ΑΘΗΝΑΙ, , 1957, pp. 62-65. Trypho is reported to have "carefully read [the] precepts in the so-called Gospel" (Dial. 10). Les Sacrements dans l' Evangile Johannique, Paris, 1951. Gal. 3:21. For a discussion of ΔΙΚΑΙΩΣΙΣ in terms of ΖΩΟΠΟΙΗΣΙΣ, see my book, pp. 82-91, cited above. G. Dix, The Shape of the Liturgy, Glasgow, 1948, p. 338. See "Martyrdom of the Holy Martyrs Justin, Chariton, etc." Ante-Nicene Fathers, 1950, vol. I, p. 305 f.
 Das Leben-Jesu-Fragment Papyrus Egerton 2 und seine Stellung in der urchristlichen Literaturgeschichte, Bern, 1946, p. 71 ff.